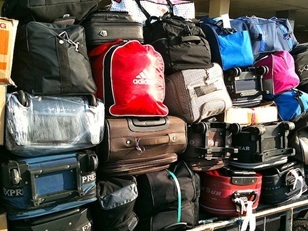 May 22, 2015 - The Department of Transportation on Thursday announced that Hawaiian Airlines violated federal rules on liability for mishandled domestic baggage and full-fare advertising. The Department fined the carrier $160,000 and ordered it to cease and desist from further violations. In response to a consumer complaint, DOT’s Office of Aviation Enforcement and Proceedings (Enforcement Office) investigated Hawaiian’s handling of monetary claims for mishandled checked baggage on domestic flights. The review revealed that Hawaiian limited reimbursement for damages associated with delayed baggage to $30 a day for a maximum of three days, limiting its liability to an amount far less than the $3,400 minimum level required by federal law. In addition, the Enforcement Office investigated a promotional program associated with the Hawaiian Visa Signature credit card program. Hawaiian advertised a “one-time 50% round-trip companion travel discount” for flights between North America and Hawaii if consumers signed up for the credit card. However, consumers who obtained the card and attempted to use the discount on a fare advertised on the Hawaiian website were automatically provided a higher fare when they attempted to apply the 50 percent discount. By advertising a travel discount on fares that effectively was not available, Hawaiian violated the full fare advertising rule.